That will allow those states to plan limited bear hunts outside the park's boundaries as long as the overall bear population does not fall below 600 bears. Wyoming and Montana are unlikely to hold hunts this year, state officials said. Idaho officials said it is too early to discuss a possible hunting season. "We are in no rush to move forward on hunting," said Laurie Wolf, spokeswoman for Montana Fish, Wildlife and Parks. "Right now we are really focused still on the conservation of this species." Hunting seasons for grizzlies would require approval by each state's wildlife commission after a public review process that "will be an opportunity to have a rich and robust discussion," said Brian Nesvik, wildlife division chief of the Wyoming Game and Fish Department. 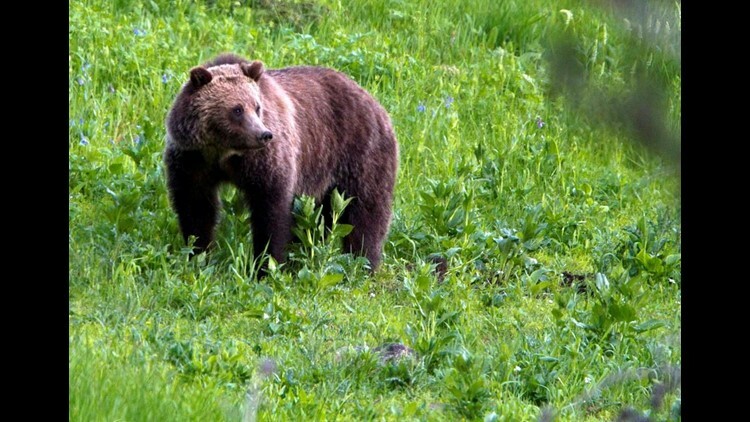 Hunting bears inside Yellowstone and nearby Grand Teton National Park would still be banned. The bears roam both inside and outside the parks, and their range has been expanding as their numbers have grown. Thursday's ruling is certain to be challenged in court by conservation groups that argue the Yellowstone bears still face threats to their continued existence. Tim Preso, an attorney for environmental law firm Earthjustice, said his organization will look closely at the rule. "There's only one Yellowstone," he said. "We ought not to take an unjustified gamble with an iconic species of this region." Matt Hogan, the deputy regional director for the Fish and Wildlife Service's Mountain-Prairie Region, said he is confident that the science behind the decision and the management plans the states will follow will withstand any lawsuit. Wildlife officials in Montana, Idaho and Wyoming have been managing the bear population alongside federal government officials for decades. Those states will follow strict regulations to keep a viable population, Hogan said. That adaptation has meant switching to more of a meat-based diet. That carries the risk of bringing the bears into greater conflict with ranchers protecting livestock and hunters searching for elk and deer, said Andrea Santarsiere, an attorney for the wildlife advocacy group Center for Biological Diversity. The federal agency will continue monitoring the grizzly population over the next five years, and certain factors would prompt a new federal review of the bears' status. AP reporters Mead Gruver in Cheyenne, Wyoming, and Keith Ridler in Boise, Idaho, contributed to this report.